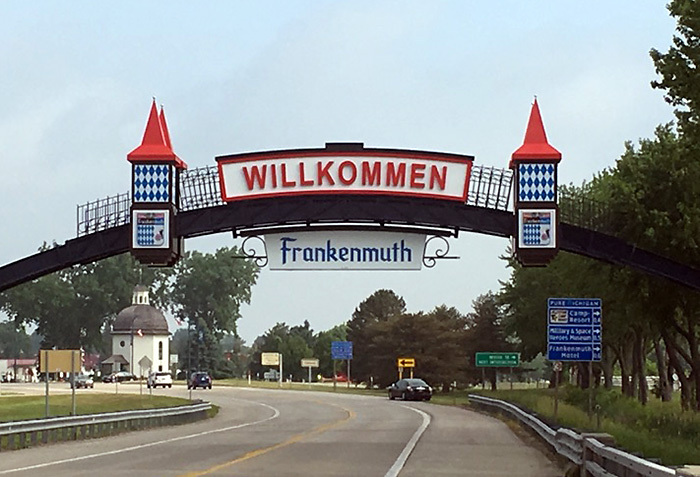 Safety was the main consideration in this landmark custom arch and lighted cabinet sign project welcoming visitors to Frankenmuth, Michigan. For this project, the signage and towers are mounted on an arch above a state highway. Because hundreds of vehicles drive under it daily, the custom sign had to be engineered and fabricated with safety as main consideration. Every weld and the materials used in the signage were reviewed and by an outside third party inspection company to insure the quality of the manufacturing. Another consideration was future serviceability of the lighting. The power supplies are located in each of the towers and are accessible from the shoulder of the road for safety and so that traffic is not interrupted during maintenance. Finally, the signage had to reflect the aesthetic design of the town as well as the arch which was installed by others. It was truly an honor for Signs by Crannie to have been chosen because of our quality fabrication to build the signage and towers for this project. 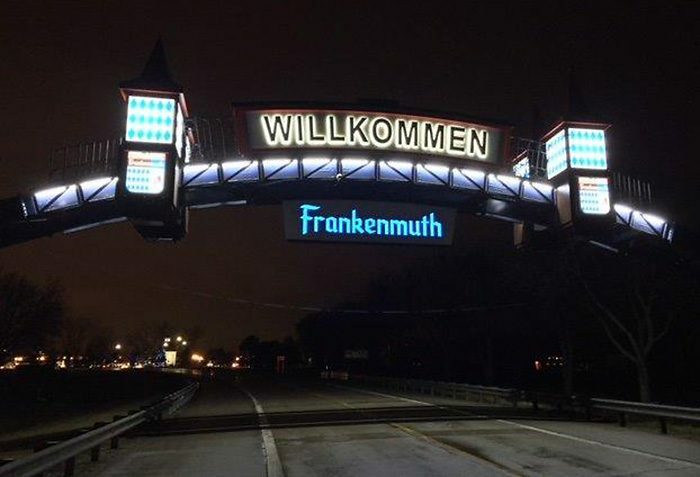 We thank the City of Frankenmuth and Bronner and Son Construction for allowing us to be part of such a wonderful project.